The duo behind the Toronto shop Mjölk commissions Scandinavian and Japanese designs for everyday use. When John Baker and Juli Daoust travel, they often have extraordinary experiences: sharing a meal with a renowned glass artist in Sweden, collecting 400-year-old pottery shards from a river in Japan. But two weeks into a recent trip, Baker recalls, “I said to Juli, ‘I want to get back to our day-to-day life.’ Not the special parts; just the everyday.” Quotidian moments inspire their Toronto shop, Mjölk (pronounced mi-yelk; it means “milk” in Swedish), which focuses on Scandinavian and Japanese designs, many handcrafted by Ontario artisans with local materials. “We try to create things you get pleasure using every day,” Baker says—cups, kettles, watering cans. 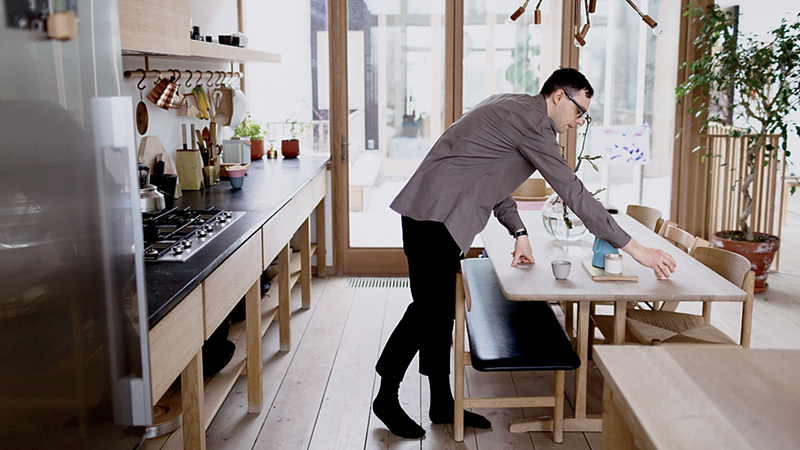 The couple’s apartment above the shop shows their philosophy in action. Here’s a look inside. 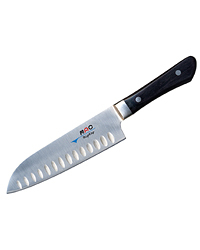 store.mjolk.ca. “In the morning, I’ll put eggs on to boil, a Swedish thing to do maybe,” Baker says. Breakfast takes place at the Borge Mogensen table ($2,450). Japanese brooms from Mjölk ($150) and a Morsø stove ($2,500; morsona.com). 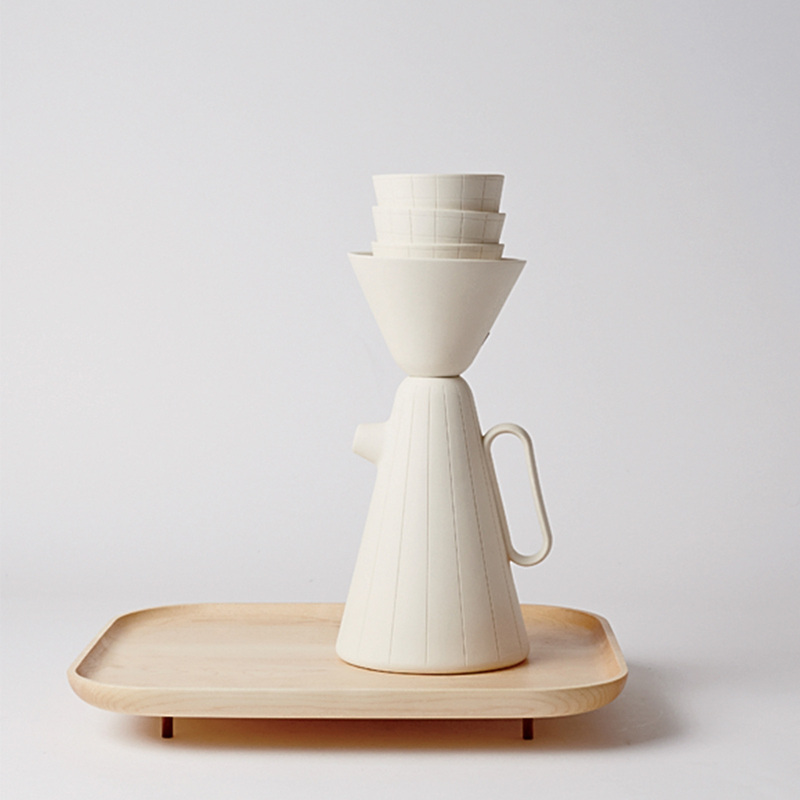 The Sucabaruca pot and funnel by Luca Nichetto for Mjölk ($215; cups $57 each) brew pour-over coffee for two or more. 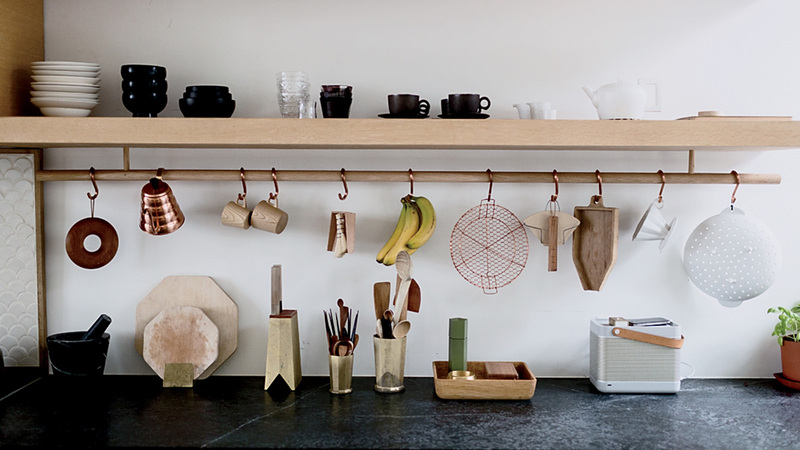 Soapstone kitchen counters and brass canisters by Oji Masanori (from $150) will darken over time.